Cheshire-based artist, Paul F Bennett, made an artist appearance at his “Northern Soul” Exhibition at CLK Art on Saturday 17th November from 12 – 3pm where he performed a live painting demonstration in the gallery. 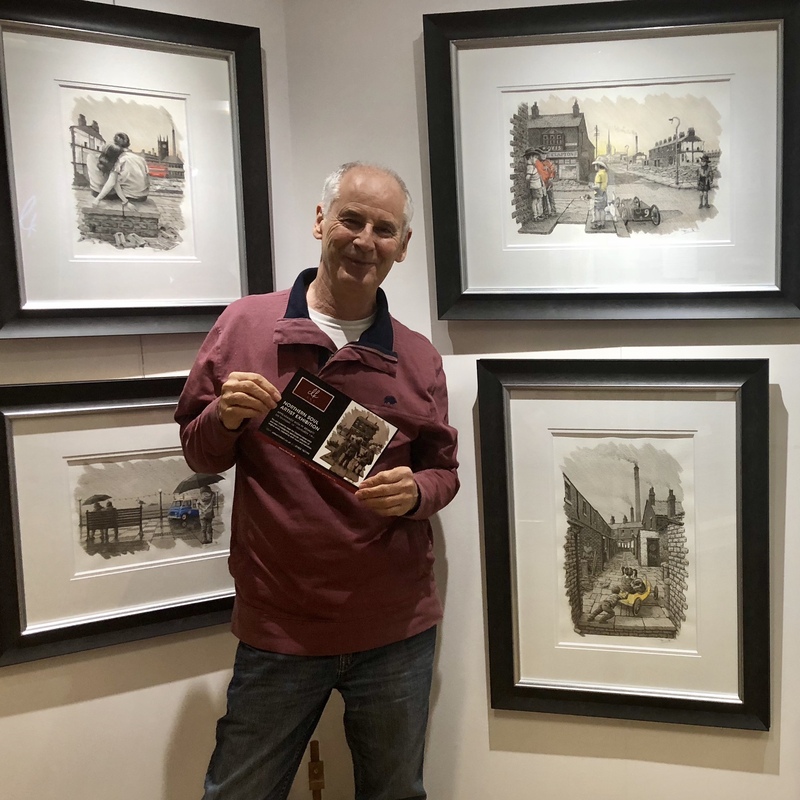 The Lymm-based artist takes us on a trip down memory lane with an evocative collection of artworks inspired by both music and memories of growing up in the North West. Each illustration is based on an individual song title, many of which are from the 50’s and 60’s. 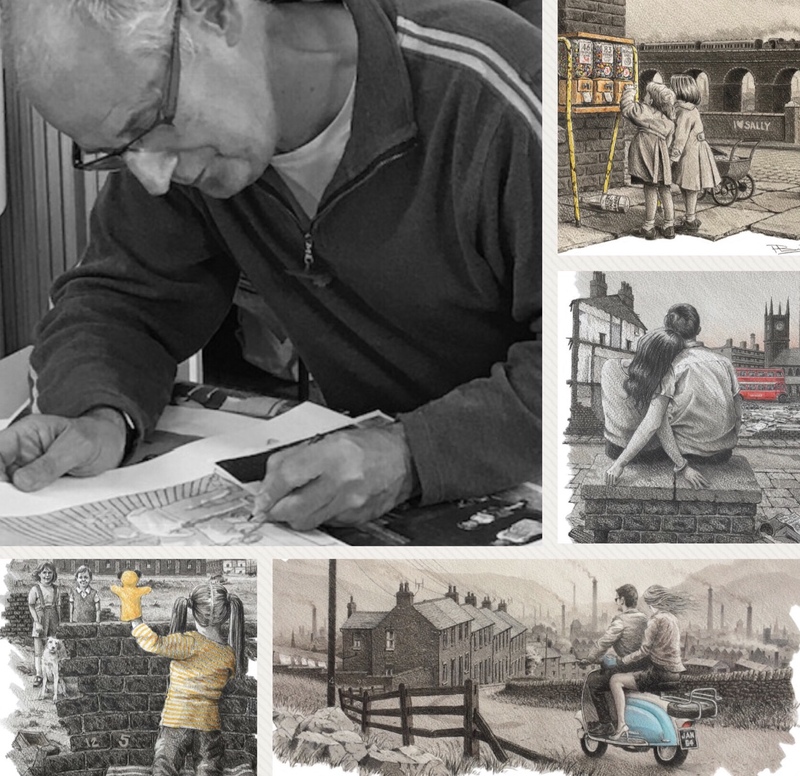 Each work portrays a unique narrative of lives from times gone by; a beautifully-depicted snapshot flooded with nostalgia. PF Bennett GMA originally studied Art & Design at Salford School of Art and treasures meeting L.S Lowry at this time. Now, Bennett paints from his studio in Lymm where he uses a combination of watercolour and pencil and continually listens to music. Basing many of his paintings on songs that he loves, Paul simultaneously reminisces his days growing up in the North of England. Although Paul is based locally to CLK Art, his rapidly growing collector-base, group exhibitions and representation has extended Cheshire and includes: London, other regions in the UK and France. View artwork by PF Bennett here. For more information please contact the gallery on: sales@clkart.co.uk or 01925 757799.